Patrick Dirksmeier says about the STEVENS Volt: “With this bike I can fully concentrate on what I have to do and that is going full speed. 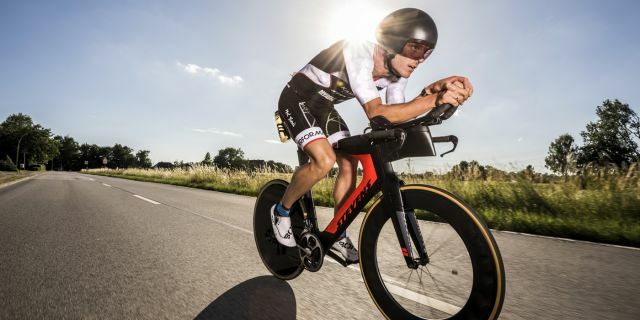 Everything else the bike does on its own.” The 2017 European Champion confirmed his statement in an impressive fashion at his Ironman debut July 2018 in Hamburg: After a strong performance he secured the Silver Medal in the German national championship which was held simultaneously with the international Ironman race in which Dirksmeier finished seventh overall. 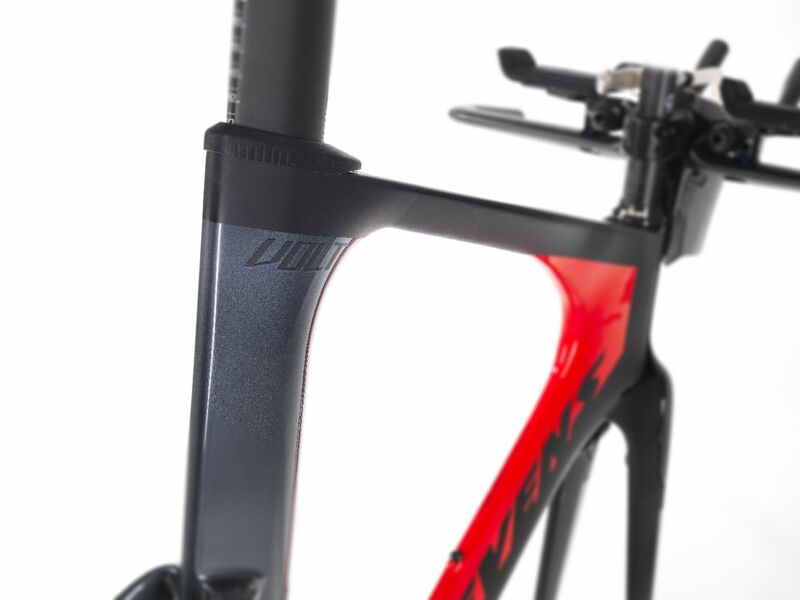 For a strong forward drive the frame featured great lateral stiffness “you really feel how your force is transferred from the pedal to the road. The power gets right to where it belongs” is how Dirksmeier describes it in the film. 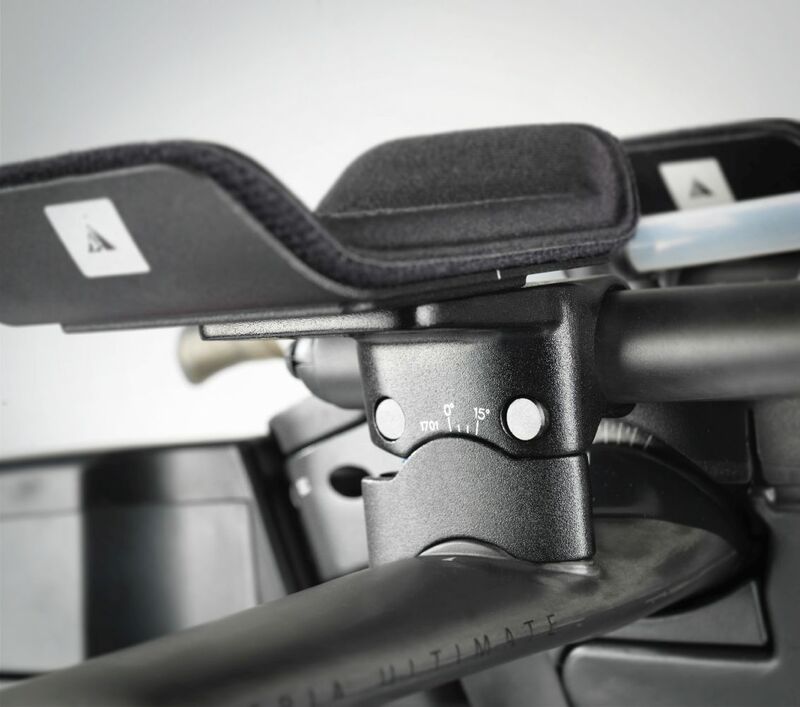 Another convincing trait of the frame was the almost total lack of cross-wind sensitivity. 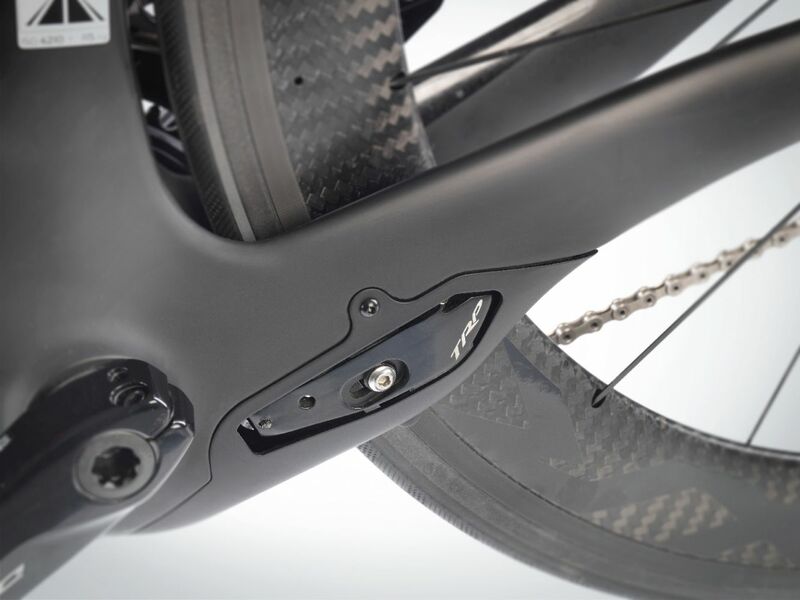 The brakes are some of the many details on the Volt you don’t become aware of at first sight – as they’re supposed to, that’s why they’re integrated into the chain stays and hidden behind the fork, respectively. Another detail important to Patrick Dirksmeier was the saddle’s huge range of adjustability to make the bike exactly fit his measurements. Triathlon magazine adds: “the Volt boast a few convincing features. 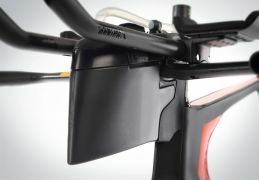 There is for instance the most eye-catching one, the Aeria Ultimate cockpit from Profile Design with an integrated hydration system.” Just as the Foodbox on the top tube, the hidden TRP brakes, saddle and seat post, the cockpit parts are standard equipment of the frame set, which can also be bought separately. Patrick Dirksmeier’s talks about his experience with the hydration system and the Foodbox: “For me as a triathlete they thought of everything. 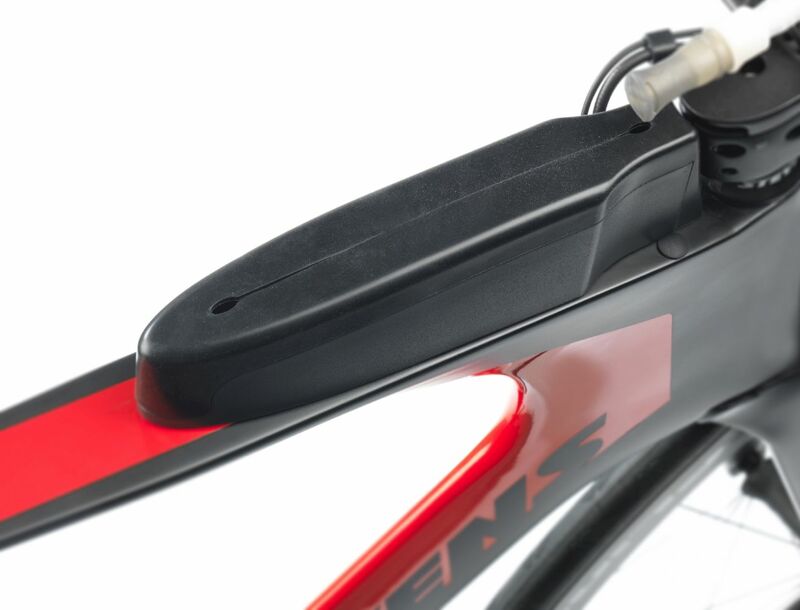 Everything is stored inside making things very aerodynamic. 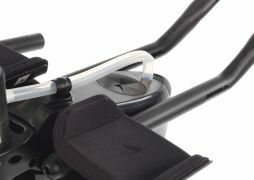 I can reach everything I need from the aero tuck position.“ The hose of the hydration system is easy to lift from the magnetic holder and with the next bump in the road in simply snaps back into secured position. Bars and gels can be grabbed conveniently from inside the Foodbox on the top tube. 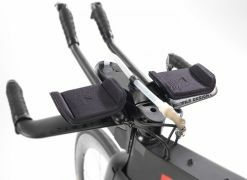 Triathlon says about the Aeria Ultimate cockpit from Profile Design: It can be adjusted to virtually any need. 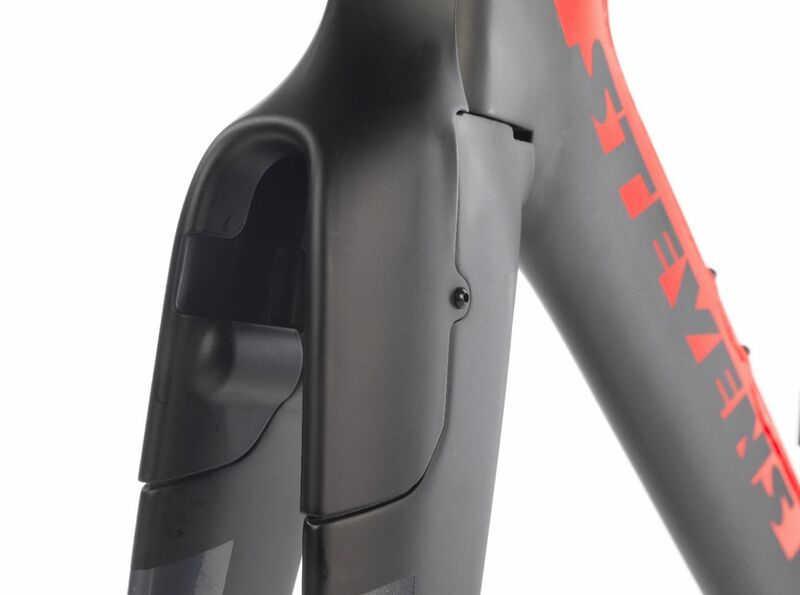 Its height can be dialled in by the amount of spacers at the fork shaft. Before you cut it down you should be positive about having the correct handlebar height, the editors strongly advise. Also the arm rests can be brought into any possible position “via an extensive set of spacers. 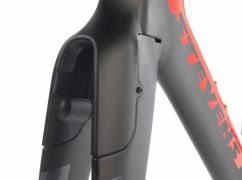 In addition there are the usual ways of adjustment, fore-aft as well as inside-outside.” Plus the carbon extensions can be tilted “which in combination with the bend allows for a relaxed hand position.” Just so you can focus on what triathlon is all about. On stevensbikes.com/custom the choice of size is followed by the choice between eight drivetrain groups from Shimano and Sram. Depending on the group there is then the choice of gearing, and crank length. 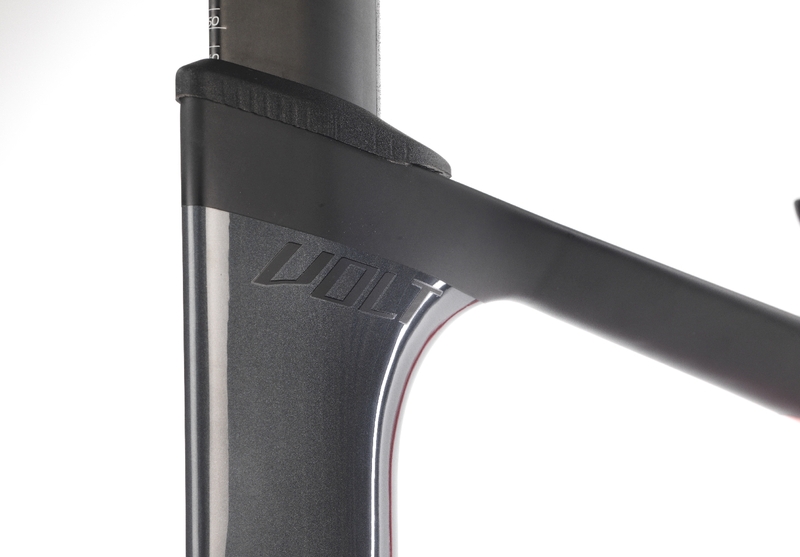 For the Volt there is a choice of eight different wheelsets that can be shod with tires of up to 25 mm width. 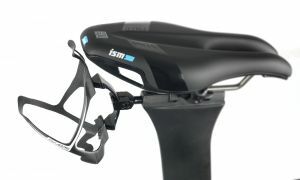 Then stem length and the saddle have to be selected and the choice to be made if another bottle cage should be attached in addition to the cockpit-mounted hydration system. 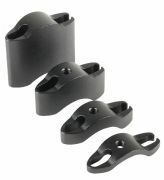 When the configuration is finalized you go and see your certified STEVENS dealer, who will check the configuration and order your bike. Usually it takes three weeks for your new bike to arrive at the dealership.